These days, everyone seems to have a busy schedule and coordinating with others can pose a challenge. But imagine planning a schedule for over 15,000 volunteers! That’s the job of our Volunteer Services team Tuesday through Saturday at all six of our branches in Durham, Greenville, New Bern, Raleigh, Sandhills, and Wilmington. This afternoon at our Raleigh Branch, Annika and Emily scanned the week’s schedule and assigned tasks to each group or individual. A lot goes in to these decisions. They consider the size of the group, time of day, length of the session, capabilities of the individuals, and the food we’ve got in house that needs to be sorted. The biggest project on deck? Blueberries! We’ve still got over 3,000 pounds of fresh blueberries from Cottle Farms to sort, and we’ve got to get them done while they’re still fresh! So look out, Wednesday evening volunteers! Buckets of blueberries are comin’ at ya! 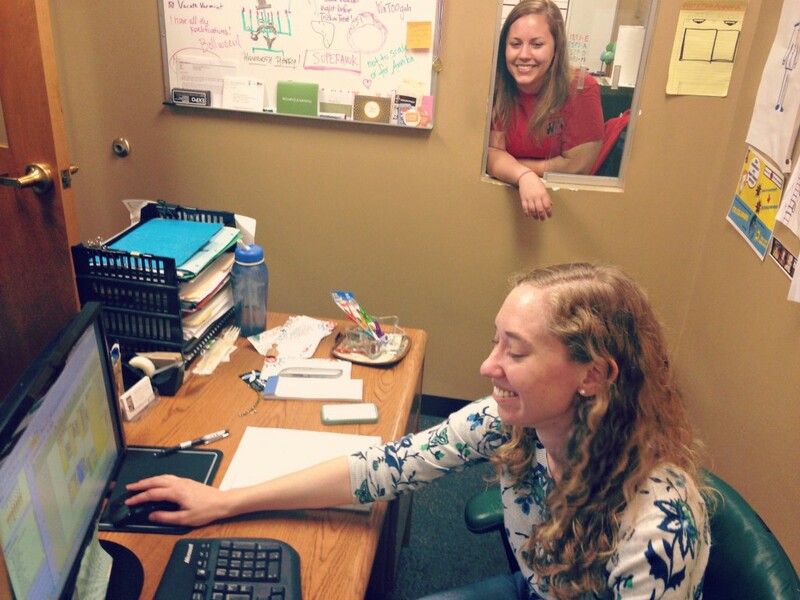 Annika and Emily examine the week’s volunteer schedule and pencil in tasks in their offices at our Raleigh Branch.